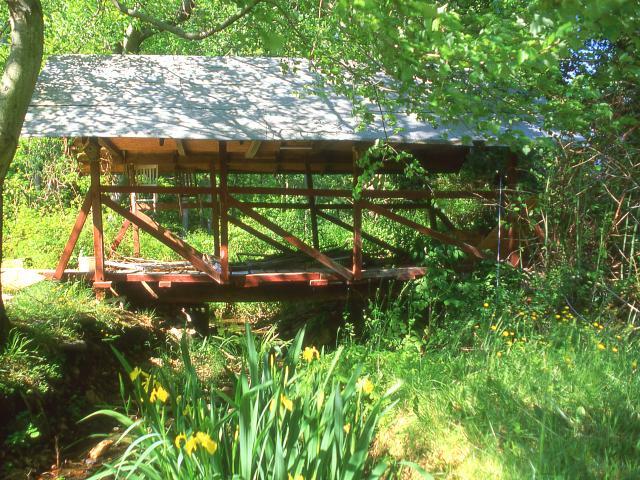 Grube Covered Bridge was built in 1970 and collapsed in 2007. The deck of the bridge is still in place. Grube was 22'-8" long by 8'-5" wide and crossed a small stream. 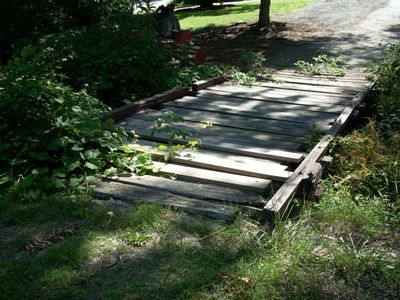 The bridge was located on private property just a little northeast of Bel Air, Maryland. Above photo taken May 15, 2002 by Warren White, below taken 2008 where only the flooring remains.